From the terrace leads to the ground floor consisting of a lounge - dining room, a kitchen, a pantry and woodshed including a bathroom with shower. It has two cast iron fireplaces, one in the lounge area and another in the kitchen. Throws up these rooms and discovered by the low roof, heating and all rooms. Through a unique staircase leads to the first floor which has four double bedrooms (one with double bed and three with two beds of 90 cm), a bathroom and a corridor through which you access the balcony from which to contemplate the majestic Picos de Europa, front and Peñasagra, right. Two of the bedrooms open their windows to the balcony so enjoy these magnificent views. The penthouse floor is airy and from it you access the open sun terrace on the roof where we can enjoy the sun and great views. The village and surroundings: Baro is a small town dedicated to agriculture and livestock, which also has a cheese factory, which manufactures one of the famous quesucos de Liebana, cheese Baró; a shelter and a house dedicated to the lodge. Its proximity to the capital of the region of Liebana, Potes, allows us to enjoy all the services without having to travel great distances. Potes restaurants, supermarkets, post office, swimming pools, banks, pharmacy, shops of typical products and gifts, etc. It also has good nightlife bars. Thus, tourism in Potes includes all ages and are spread over all hours of the day and night. The more daring can also be found in Potes several active tourism companies including include all types of adventure sports. Those who prefer tranquility can enjoy pleasant walks in the woods and trails and get into the central and eastern massif of the Picos de Europa. If you need information about the area, both car trips or hiking, as well as recommended sites to visit or where to enjoy our cuisine, I can send a document with all this information. On the ground floor is a shower room. On the first floor bathroom with bath 1. 70 m.
First the positives: the location was exceptional, in the mountains with the most awesome view from the front door of the high peaks, yet a short drive from Potes where we could find dining and groceries. It was very easy to access, with the key in a lockbox, and the advance instructions from the owner very clear and easy to follow. The owner also provided us with timely information about the closing of the main road into the region so we weren’t surprised and could plan a detour in advance. The house was cute, clean and well kept, and the kitchen was reasonably equipped (although we never did find the toaster, which should have been in the storeroom, and their brand new induction cooktop was confusing to use without instructions). The owner responded to our inquiries promptly. The beds were well laid out, 2 twins in each of the 4 bedrooms, and the bedding was clean, but the mattresses were well worn, and not as comfortable as we have found in other Homeaway rentals. The mattress on the futon in the loft however was too thin for adults, and although ok for children, the steep “ship’s stairs” to that level were a concern. The towels looked clean, but some of the towel sets had a nasty smell like smoked meat; others were ok. The downstairs bathroom was fine, both had good hot water flow, but there was a smell in the upstairs bathroom like a dead animal. We notified the owner (by email, they are not in the area) who suggested it was just the smell of the rural village. However, it seemed concentrated in the bathroom. Muchas gracias por vuestra estancia. Vuestro comentario nos servirá para mejorar los aspectos menos favorables. Respecto a la tostadora, no entiendo que ha pasado. Hemos comprobado y está en su sitio. Siento que no hayáis podido encontrarla pero está a la vista con el resto de menaje de cocina, en la despensa, tal y como os he indicado por correo. The house was very comfortable for my group of 8 and is as described on VRBO. It is located in a small agricultural village with wonderful views. The neighbors are friendly and helpful. Note that the streets near the house a very narrow. The house is a short drive to Potes where there are many restaurants, markets and other services. It is close to a number of outdoor activities. I wish I could have stayed longer. Nice getaway in a quiet small village. We visited the Picos from here 3 times. Fuente De is a 20 minute drive. Do not buy tickets for the cable car online, because they insist that you present a paper copy of the ticket (which is difficult if you have no printer). The other Cain de Valdeon is a MUST see, and about 1:45u drive. Drive all the way to the village, you can park for 3 euro. Then hike the Cares Gorge hike. The 3rd, is about a 2 hour drive to Covadongo and then take the bus (8 euro round trip) to the Lakes Covadongo en Ercina. Potes is a very nica and cosy city, with a lot of bars and restaurants. La zona da mucho de sí, sobre todo en primavera y otoño que no hay que esperar colas en Fuente De y puedes subir con tu propio coche a Los Lagos de Covadonga. En nuestra opinión, la casa está pensada para ser ocupada por una única familia, o a lo sumo dos. Abstenerse grupos de amigos en pareja (hasta 5 podrían alojarse) porque el hecho de disponer de únicamente de dos baños hace la convivencia diaria bastante complicada. Otra cosa importante a tener en cuenta es el tema del aparcamiento, ya que la casa en si no tiene y hay que buscarse la vida por la zona que, en fines de semana de temporada alta y puentes en general, no debe ser nada fácil porque es un pueblo pequeño de calles muy estrechas con más casas rehabilitadas para uso turístico y con muy pocas plazas de aparcamiento. Tampoco la recomendamos para una estancia de muchos días porque los colchones en general dejan mucho que desear. La cocina es bastante minimalista pero suficiente y también se echan en falta unos botecillos de champú y gel de ducha que dábamos por hecho tendría que haber y que de no ser por una persona hiperprevisora nos habría causado alguna molestia añadida. En el aspecto positivo hemos de decir que el enclave de la casa está bien situado, a medio camino de Fuente De y Potes y desde sus ventanas se pueden ver unas vistas estupendas de la montaña. El pueblo es muy tranquilo y no hay problemas con molestos ruidos. En resumen, es una casa que no vale para todo el mundo y que, a nuestro entender, no merece más que un aprobado raspado. Siento que la estancia no haya sido de su total agrado aunque considero que el anuncio detalla claramente la casa. No obstante, intentaré mejorar en todo lo posible los aspectos negativos que indicas ya que el fin principal es agradar a los huéspedes siempre. Idyllisches Häuschen, gut gelegen für Wandertouren in die Gegend. Muchas gracias por tu comentario. Sois siempre bienvenidos. Muchas gracias a Gema por su excelente trato. La casa es una monada y está en un enclave maravilloso. Lo único, es complicado aparcar si tienes un coche grande como es nuestro caso. Muchas gracias por vuestra estancia. Seréis siempre bienvenidos. 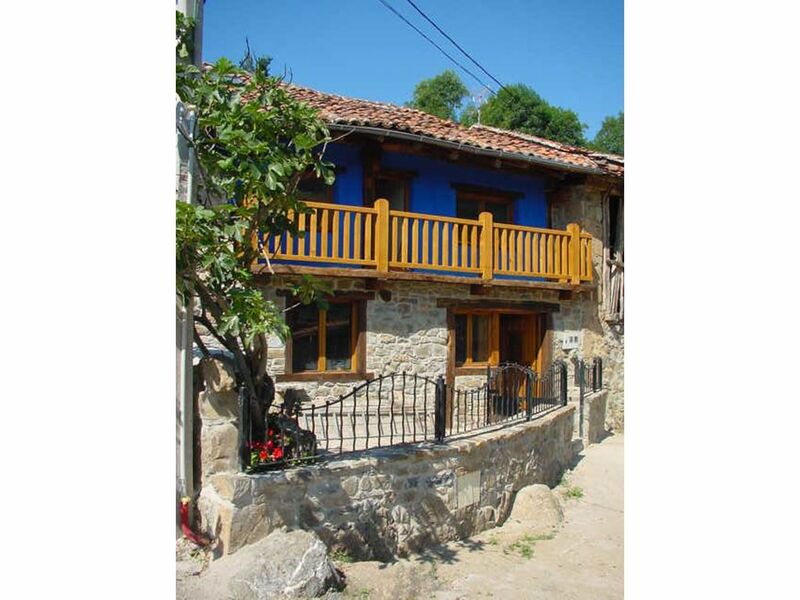 House in Baró, will allow us to spend a pleasant stay in a rural environment. In the National Park of the Picos de Europa. Cantabria. Ground floor consisting of a lounge - dining room, a kitchen, a pantry and woodshed including a bathroom with shower. First floor has four bedrooms. Second floor is airy and has a sun terrace. 5 km is Potes where there are restaurants, supermarkets, post office, swimming pools, banks, pharmacy, shops of typical products and gifts, etc. It also has good nightlife bars. The more daring can also be found in Potes several tourism companies. A 15 km cable car Fuente De. Further afield (1 hour) Route Cares and the Naranjo de Bulnes. At 50 km we have the coast and beaches. At the same distance Soplao Cave. A 1 ½ Santander (the capital) and the Park of Nature Cabarceno. You just have to copy and paste into your browser's address above and give me love. Consúltenos posibles ofertas. La casa deberá quedar a la salida del huesped en perfecto orden, tal y como fué entregada.